That deeply connected Sacred Space… this is where all is for each one of us. A deep profound love, pure gratitude and appreciation and for the human aspect, only the place one goes to when it “needs something” or wants to “put up a front”…. it can’t HOLD THIS PLACE and stand in it’s power as LOVE too…. because there is still separation/duality/a battle inside…. SOUL is not a word we speak or use… it’s our EXISTENCE as PURE LOVE HERE. On a deep Sacred SOUL Level… the Love we hold is PURE. It seeks nothing at all and it doesn’t “over compensate” for lack…. it holds all as LOVE … and this pure Divine Energy/Essence… is what we transmit out…. Pure Source Consciousness… what do these words mean to you? Pure Love… how does this FEEL to you? The depth of the Core of your BEing…. can you function from this place in every moment, without the human programs of blame, shame, guilt, manipulation and hurt? Divine Soul Union with another means that our Souls have re-connected here…. that we each function from that place/that space inside… and we don’t bring our human ego programming into the picture…. and if we do, then the Union is no longer harmonized on a Soul Level for a Divine PURE Experience and Exchange…. The human aspect is unable to maintain this “depth”, because it keeps going unconscious to play out human programs over and over again… We came here to TRANSCEND all of that. WE came here to be PURE and drop the BS…. and Unite as much higher dimensional Light BEings in form here…. Are you capable of maintaining your highest and most Sacred You in every exchange? This is what each experience will show you…. which aspect you ARE and how much programming/duality/fear/lack/separation you still hold inside…. as SOURCE CREATOR of ALL…. When/AS each take full responsibility for where they FUNCTION FROM… then our realities are very different here. WE all have the capability of a multi-dimensional existence, yet we each have to CHOOSE THIS or we don’t…. For the fully conscious, going back to sleep/unconscious is no longer an option…. It becomes OUR RESPONSIBILITY to bring all into a much higher state of consciousness… every time. Yesterday, we had the “next phase” of this Venus Transit Gateway open up. Another Divine Sacred Union Activation, yet this one was on a much grander collective level… Each will have this experience when it’s vibrationally “their time”, when those codons/DNA strands/codes activate… The codes have been released with yesterday’s Gateway opening… now it’s up to each to activate and hold from deep inside until the whole TEMPLATE has “built” itself to come fully online. First the codes, then the distortions and template re-writing …. which is an immense process within itself, taking “as long” as there is “density/programming” that’s got to be cleared…. As I observed this “next” Divine Sacred Soul Union portal opening…. it caused me to reflect and review… my own journey of Awakening and Deep Sacred Soul Union within here…. Years and years and years (linear version) of opening my own heart more… each time, not always pleasant, comfortable or easy, yet necessary to bring the walls of protection and clear my own distortions and fear programs out. So many “seek”, not fully comprehending how all of this is about continually going deeper inside of ourselves… to open those portals, those Heart (Star) Gate, those Gateways and transverse the passageways (experiences) …. So many hearts of my own to open and merge into one… We have infinite hearts…. “which one” will be relative to the phase of our own Awakening/Ascension/Embodiment journey/processes here. Full Union is an inner-experience… a merging process of aspects, a merging process of essences, a merging process that is deeply Sacred… and just can’t be matched by anything external…. there are no words to describe the experience…. it is a FULL UNION OF OUR SELVES…..
Today, I chose to use photos to explain a few… and to awaken you to the multi-faceted, multi-dimensional journey of DIVINE SACRED SOUL UNION… for you to explore, adventure into and open up fully to this experience more too. 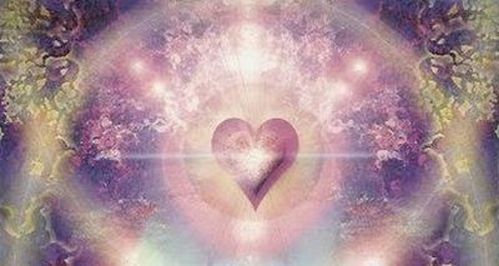 Keep opening those chambers of your hearts fully, to activate the next and the next and the next….where your physical reality will shift and changed based upon THE HEART you are UNIFYING and Living as here…. For physical body ascension, we have the Rainbow Heart… which opens up the Rainbow Bridge to “cross over” as we transition fully from Old Earth to NEW…. This is the merging of all of our Chakras (Color of the Rainbow) into a Pillar of Light… where all vortexes open up fully to become ONE. This template activates our Cosmic Rainbow LightBody Template to start “building”, by way of a multitude of high frequency Cosmic Rays (much vaster color spectrums) working through the body, with each Light Code activated and held … which begins each’s Avatar LightBody Template… which builds through each’s actual experiences and levels of Purity Consciousness held here. Gamma frequencies activate the LightBody fully, which is a continual DNA evolutionary process as well. As each activates various DIVINE HEARTS to RECONNECT WITH, FEEL and BRING FORTH to EMBODY FULLY…. it’s a subtle and powerful experience… one where we REMEMBER PURE LOVE … not in a logical, linear way… but by way of the comfort, the peace (HOME), the simplicity, beauty, the purity of it all….. Where there are distortions, these will be activated to play out within us and our external reality too. Where we “get it” and we’ve observed our own distortions, then we resolve these first, bring the whole relationship into balance and purity and no longer “need” to play these distortions out…. I’m not going into depth with these, because of how much it would take to explain. I’m mentioning so each can “see” and understand how each correlate… on a multi-dimensional level to the physical reality/plane…. Dependent on each’s belief systems, the “names” that each uses to describe these can be many. This is about THE ENERGY, not the word we use…. Each will play out “each end of the spectrum” in the roles along the way… the child, the mother, the father, the feminine, the masculine…. the human ego distortions as a part of the Divine too. This gives each one of us the ability to SEE, observe and understand REALity through a Multi-Dimensional (Multi-Faceted) “view”, as well as being able to embody our multi-dimensional aspects and shift easily and intentionally between them, while maintaining balance of all as ONE fully from within. These are just a “few”. See which heart/aspect is activating within you and how this correlates to your own Embodiment processes here. This entry was posted in Uncategorized and tagged 11:11:11gateway, Depths of each Soul, Divine Soul Union, Lisa Trancendance Brown, love, Pure Soul Consciousness, Venus transit. Bookmark the permalink.